Camp for most children is a chance to get away, meet new friends and have fun for the summer. 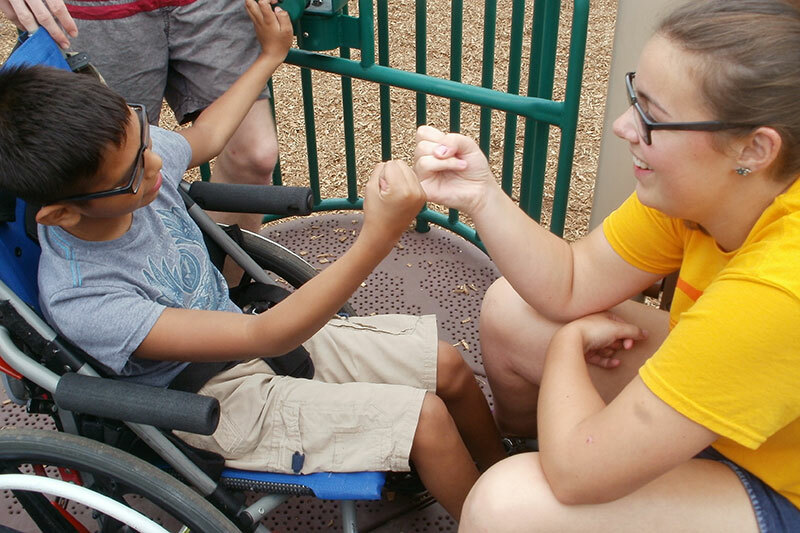 For those campers with disabilities who attend Shady Oaks Camp in Homer Glen, IL it is much, much more. In the 1940s, there were very little services available for people with special needs. People with physical disabilities were treated just like those with intellectual disabilities and mental health disorders. Regardless of the disability, many of the children were institutionalized and kept in deplorable conditions. A small group of parents of children with special needs agreed this was unacceptable and decided to do something about it. In 1942, the Parents Association for Cerebral Palsy Children, Inc. was founded. In 1947, their dream was realized with the purchase of a piece of property in Lockport, IL (now Homer Glen) and the opening of Shady Oaks Camp for People with Disabilities. Fast forward 70 years and Shady Oaks Camp is still owned and operated by the Parents Association. In fact, one of the original campers (Richard Lazar) still attends camp and will celebrate his 70th year this summer as well! 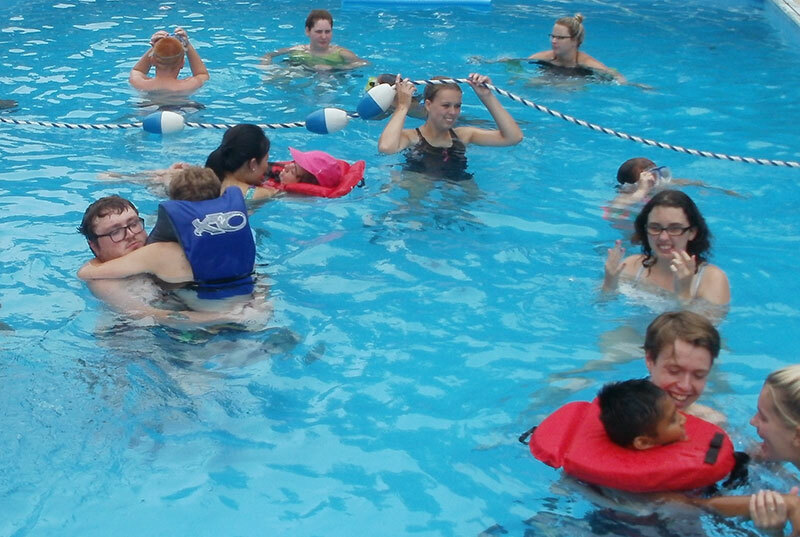 Shady Oaks Camp is one, if not the only not-for-profit 501c3, parent owned and operated, 1:1 summer camp for people with disabilities still in operation. 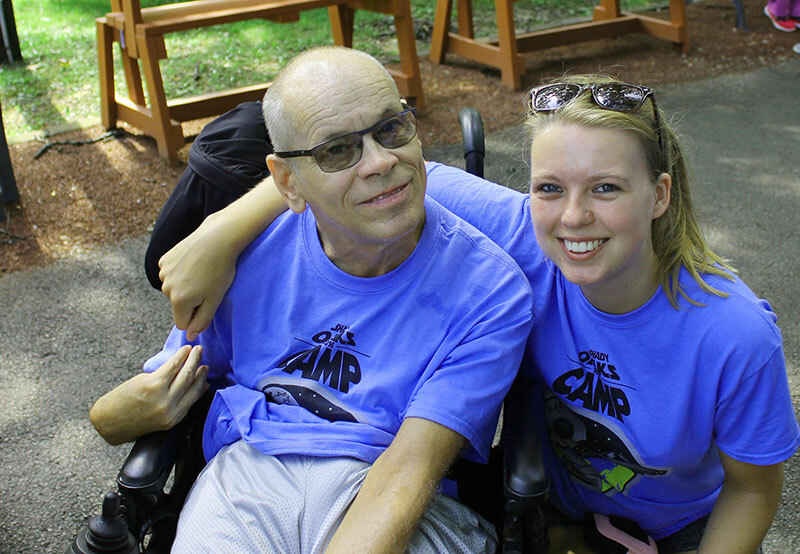 SOC is open to all disabilities as long as a parent, family member or group is willing to join the Parents Association and help fundraise on behalf of the camper. Shady Oaks has no age cutoff, and in 2016, our campers ranged from age 7 to 74. The PA receives no government, and very little outside, funding. Almost all of the $350,000 it costs to run camp each summer is raised by the parents through fundraisers and direct donations. Approximately 50 families are actively involved in the organization. Members of the Parents Association earn points through their involvement in the organization and through their participation in fundraisers. These points are used to reduce the cost of sending their children to camp. Another unique thing about SOC is that many of its 1:1 staff come from all over the world. College kids from Ireland, England, Australia, Germany, Poland, New Zealand, Korea and many other countries come to SOC everyone summer to work with our campers. They add a unique international feel that most of our campers may never experience otherwise. 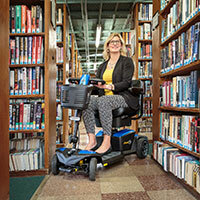 Many of our staff, after working at SOC, decide to make working with people with disabilities into their career. 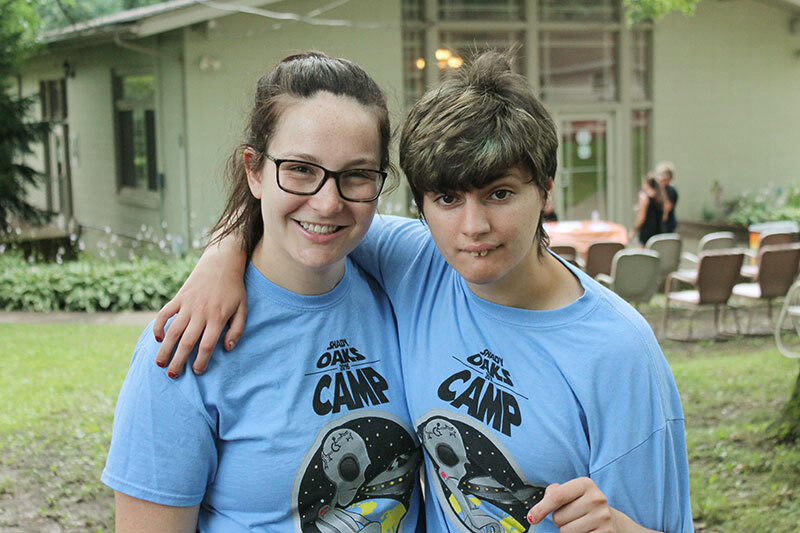 One summer at SOC can have a profound effect on campers, parents and staff alike. According to Jan Golden, mother of camper Nick Golden, "Shady Oaks Camp is our lifesaver!" "Without Shady Oaks, my son would never have the experience of a summer camp like able-bodied children have," said Marcie Flores of her son, Joshua. " The staff is compassionate and fun. We are so thankful to have a place my son can be himself." Ralph Swanson agreed after his son, David, had a chance to experience the camp. "Just a small little piece of ground that's the most exciting and life changing time for campers and staff," he said. Shady Oaks is not just a summer camp. It is a place where life-long friendships are made and everyone is treated equally. This is a place where people with and without disabilities can interact without prejudice or expectations. It is a place where those from other countries, cultures, and social standings work together for a common purpose. The camp may be 40 miles from one of the biggest cities in the world, but it feels like 1000 miles. It is a place that has changed the lives of so many, campers and staff alike, for many years. This incredible place is where our entire community can enjoy the finer aspects of life. SOC is simply a little slice of heaven! 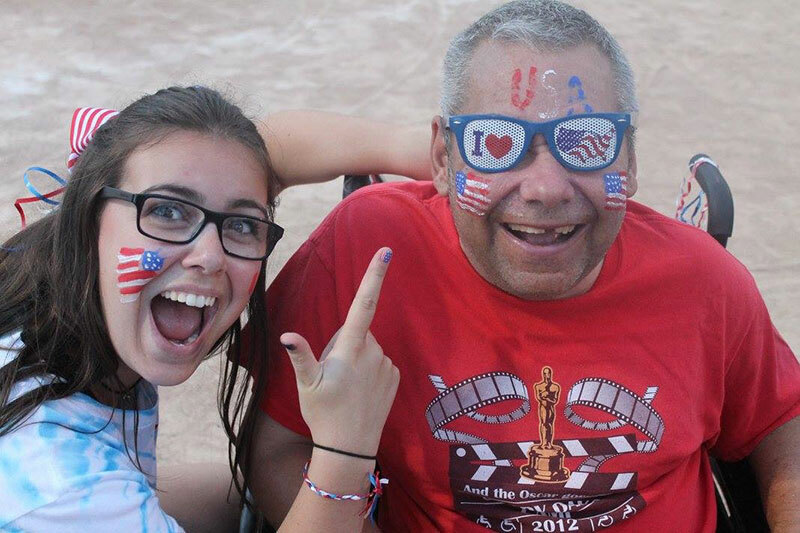 Scott Steele has been with Shady Oaks Camp for the past 26 summers. He started out as a counselor in 1992 and returned to camp every summer until he graduated with a Bachelors degree in education with a emphasis in Therapeutic Recreation from Southern Illinois University in 1997. In 1998 he worked at Lovelton Academy in Elgin, Illinois as the Therapeutic Recreation Supervisor. In 1999 Scott was hired as Executive Director of Shady Oaks Camp and currently holds this position. Scott was born and raised in Chicago, IL and currently lives in Michigan City, Indiana with his wife and 2 children.